A central vacuum is a vacuum cleaner system that is installed permanently in the home. With numerous inlets installed in various rooms of the house (depending on square footage and hose length), this powerful suction system is an easy and convenient way to keep floors of all materials and textures looking immaculate. Designs and maintenance requirements vary for each manufacturer, but there are still general upkeep needs all central vacs share. To keep your hose looking and working like it is new, ensure you are storing it properly. Install a storage rack in the back of a closet so the hose can sit comfortably wound. Another option would be a protective container where the hose can be carefully placed and hidden out of sight. Always remove the attachments before storing them away, specifically the main carpet brush that is attached by a metal wand; this can bend and break the hose from the area where it connects to the wand, due to awkward twisting. 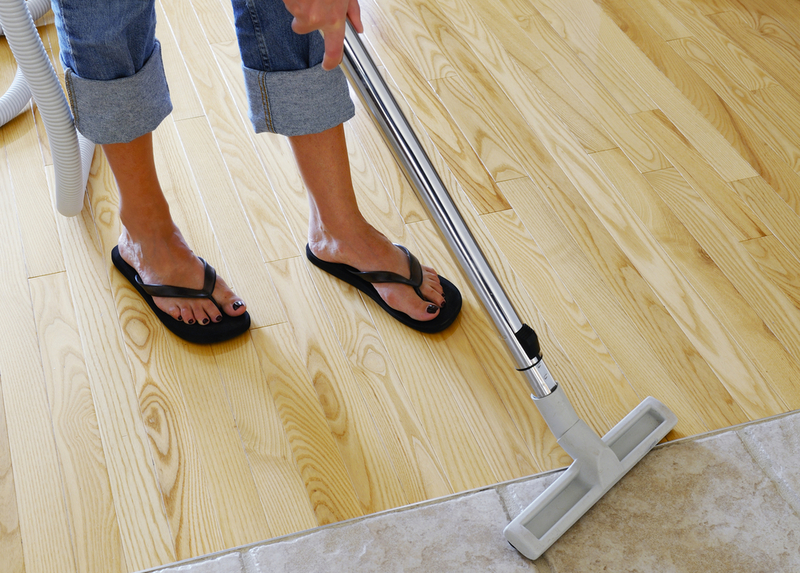 Remove stubborn debris and eliminate odours by vacuuming a cleaning cloth through each inlet hose periodically. These special cloths are designed to clean, deodorize and test the air pipe system of your central vac. Not all systems require this, so check your system’s cleaning and maintenance instructions to make sure this is appropriate before using. Empty the dirt canister when needed. Open the canister lid and remove and discard the liner, then replace it with a new one. If your system does not include a liner, simply dump the canister and give it a thorough wipe. Replace or clean the filter. The location of the filter will vary per system, but is usually found within or near the dirt canister. Most filters are designed to be removed, washed and returned to the system after setting to dry. Other models have self-cleaning filters or disposable filters which can be removed and replaced. Central vacuum systems are designed to be permanent and long-lasting, but they still require special care to produce the most effective results. For more tips on properly maintaining your appliances, visit www.scratchanddent.ca or stop by the store at 407 Gage Avenue, Unit #4 in Kitchener. A friendly staff member would be happy to help you or take your questions at 519-743-3623.